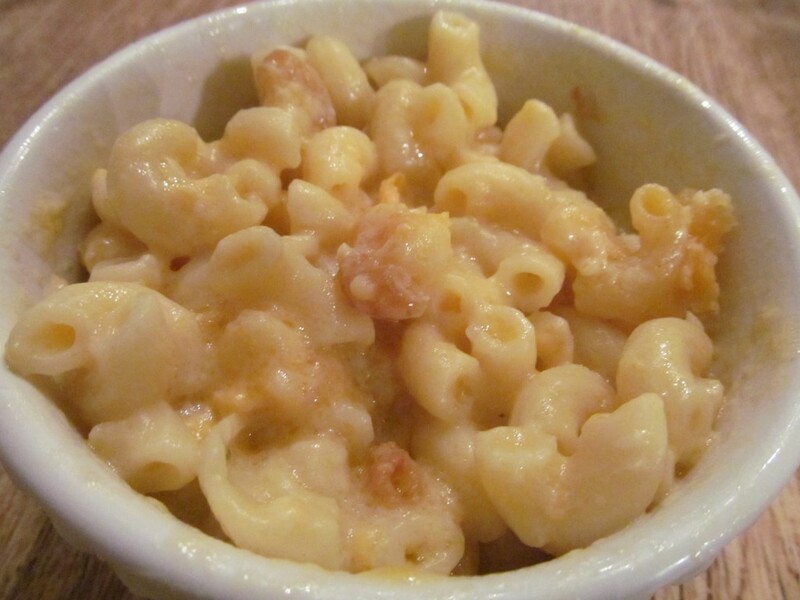 Macaroni & Cheese recipes are all over the blogosphere, but I will step out on a limb and say the version that I am about to share is original. I crafted this recipe a few months ago to serve at two large gatherings we hosted– a Sweet 16 Birthday Party and an outdoor barbecue. 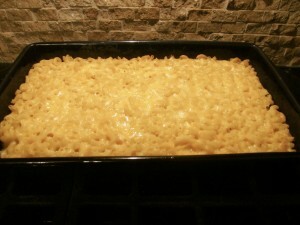 Since then, it has become my family’s favorite mac & cheese. My secret ingredient is French Onion Dip. Combined with Campbell’s Cheddar Cheese Soup and the other ingredients, this makes a sauce that will knock your socks off. It is smooth, rich, sharp, and has a “tangy” flavor that no one can figure out. My idea for the addition of French onion dip came from an all-time favorite recipe of mine–French Onion Cheese Fondue. This fondue is so yummy and tangy that I thought it would make the best mac & cheese. And it does! I’d love to hear from you if you try this recipe. If so, please let me know how you like it. I love hearing from readers–so please comment and share your thoughts! Boil pasta to al dente. You want pasta to have a slight "bite" and not be mushy. Put into large bowl; set aside. Combine soup, evaporated milk, regular milk, butter, salt, and pepper in a large microwaveable bowl. Cover with plastic wrap leaving a small vent, and cook for 6-7 minutes until the butter is melted and the mixture is warm-to-hot throughout. (Do this on the stovetop if you prefer.) Add French onion dip at the end; stir until it is incorporated throughout. Pour sauce over pasta, stirring so that all pasta pieces are coated with sauce. Sprinkle shredded cheese over pasta; stir until well incorporated. Pasta should be coated with sauce and shredded cheese pieces. Do Ahead: Refrigerate until ready to bake--up to one day ahead. Bake at 350 degrees until heated through and bubbling along edges, approximately 40 minutes. Let stand 5 -10 minutes before serving. I am SO happy that you loved this Mac & Cheese, Sherrie!!!! It really is our fave, and I, too, use Vermont Extra Sharp most times I make this. Thanks so much for leaving your feedback!!!! I made this for dinner tonight and LOVED it. My girls were always complaining that my Mac & Cheese was gritty (because of a rue) This one stayed creamy after baking, which is what I was hoping for. I used a Vermont Extra Sharp Cheddar cheese and it was by far the best Mac & Cheese I’ve ever made. Sure hope my hubby likes it, when he gets home from work, as much as I did. Totally phenomenal recipe! Thank you! !